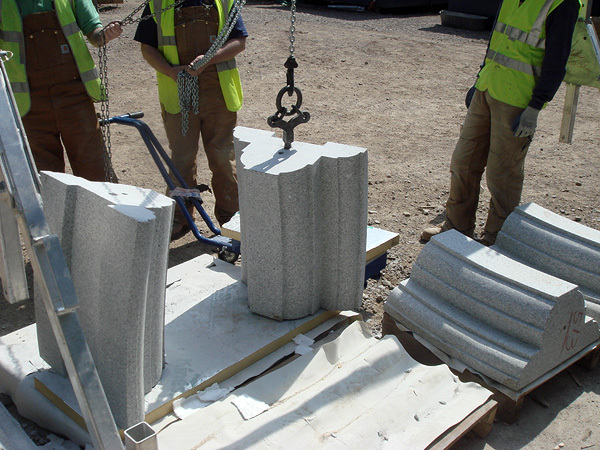 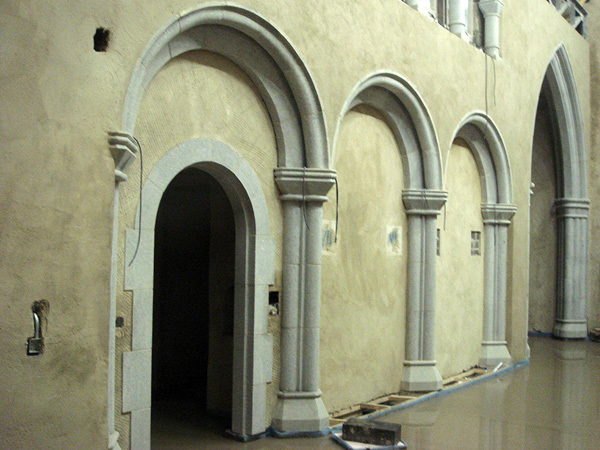 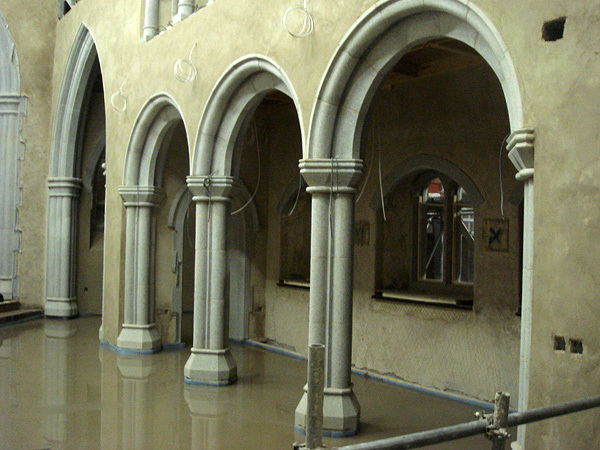 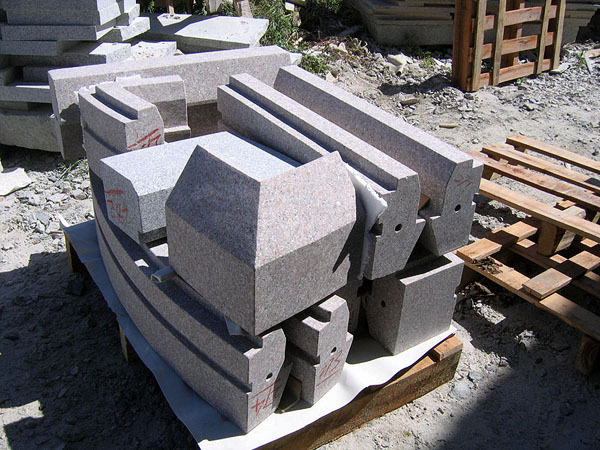 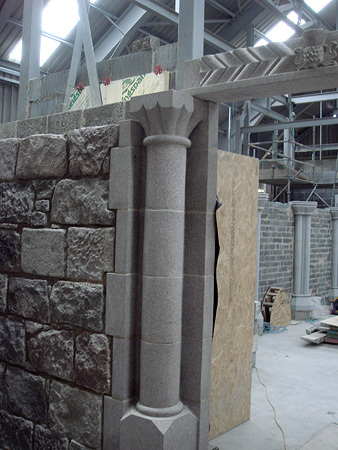 This project was one of the most exciting and unique for LTM’s stonemasons. 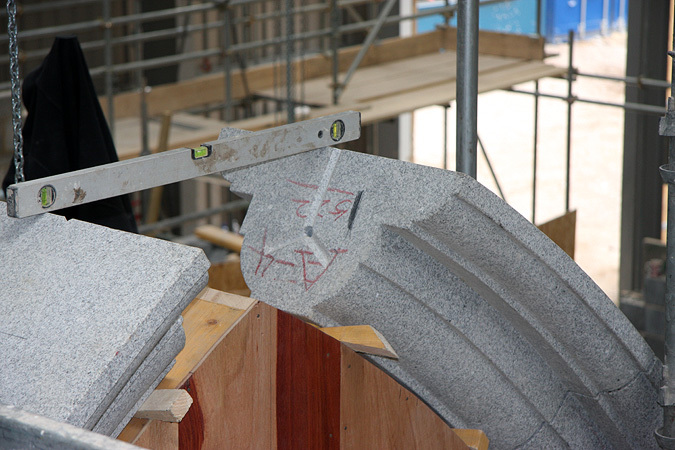 It involved the unprecedented opportunity to combine traditional craft skills and building materials with modern construction technology. 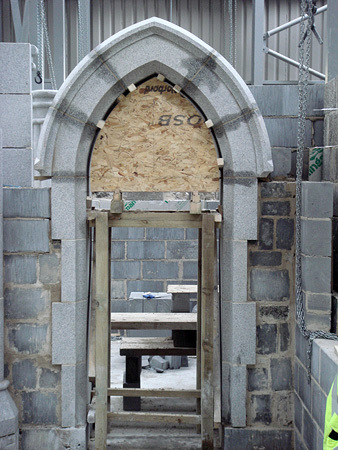 This gave LTM masons the chance to consolidate their knowledge and understanding of various traditional materials and techniques, including ‘hot lime’ mortars for building all the granite block, hand split granite blocks (using the traditional ‘plug and feather’ method), and leaded masonry joints to the window tracery. 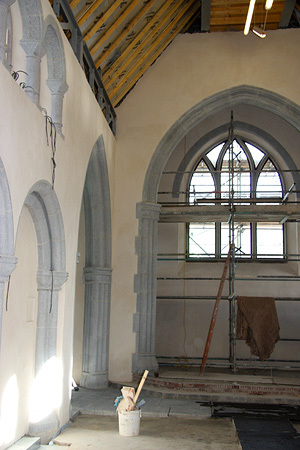 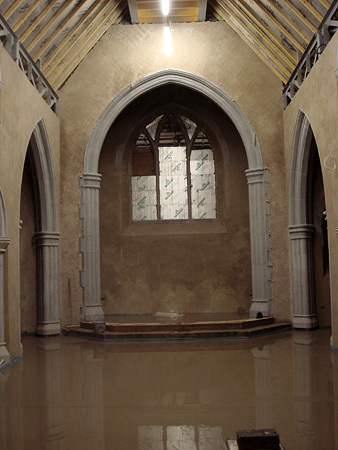 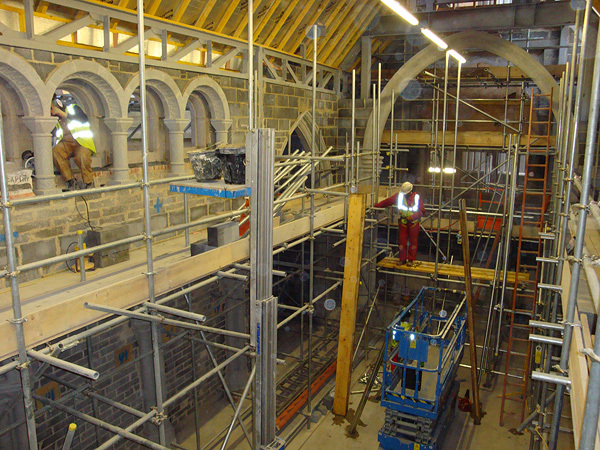 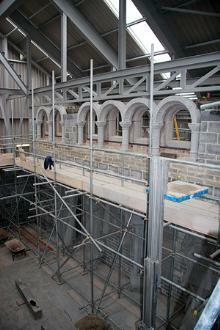 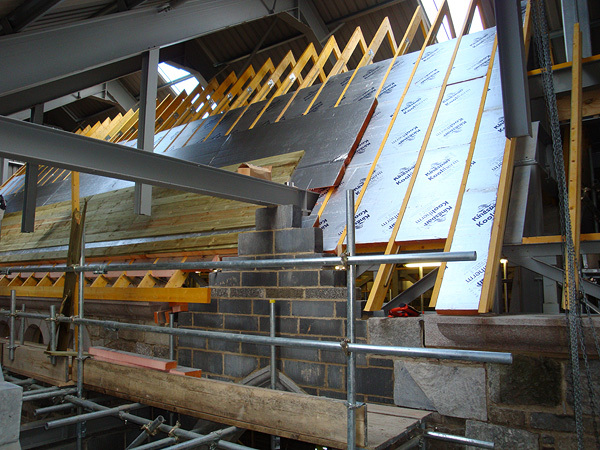 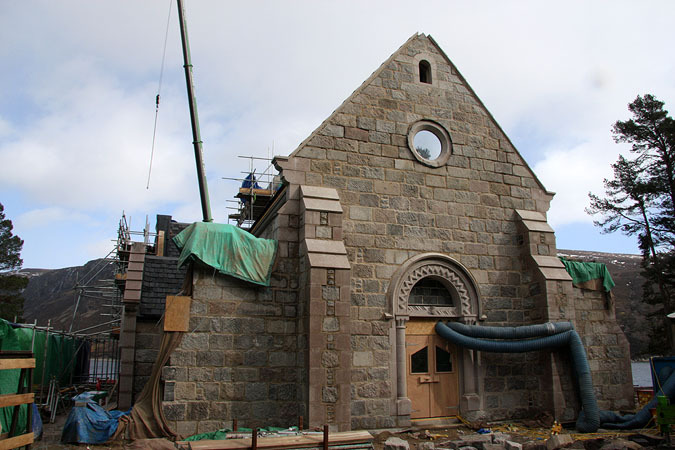 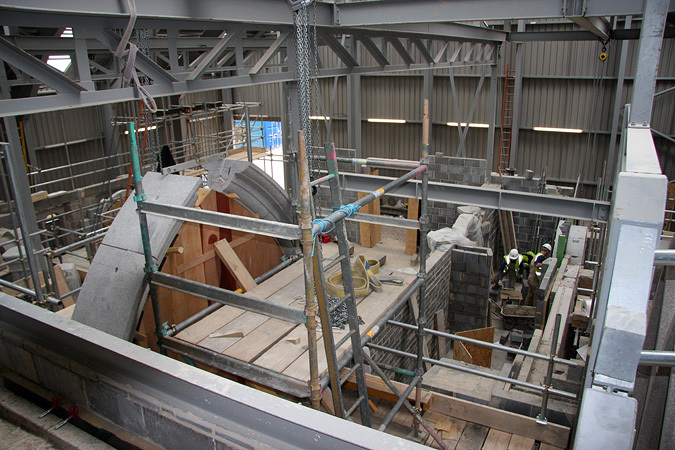 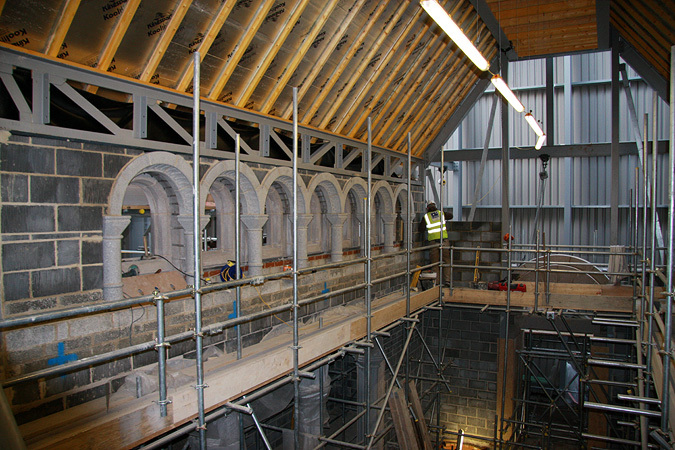 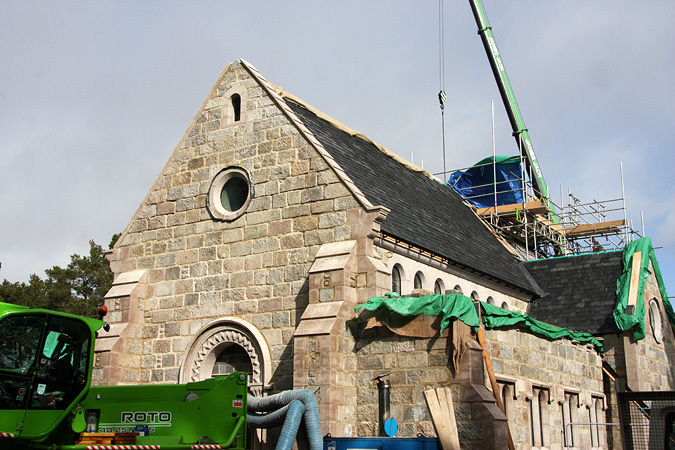 LTM were contracted to undertake the masonry construction work of this new-build ‘traditional’ Gothic Chapel. 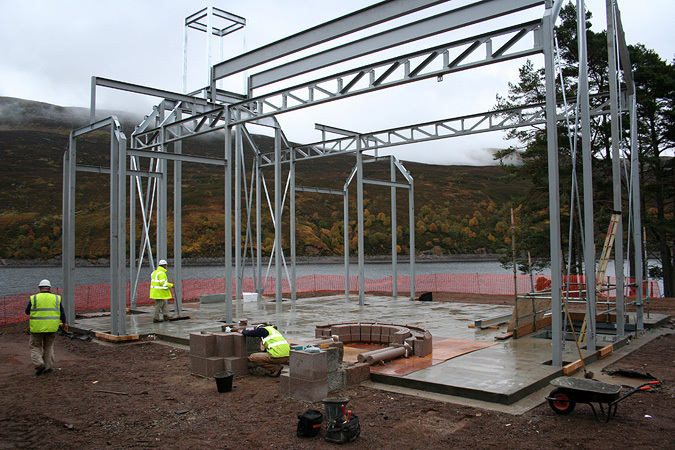 The structure itself comprises a steel frame built off a concrete foundation. 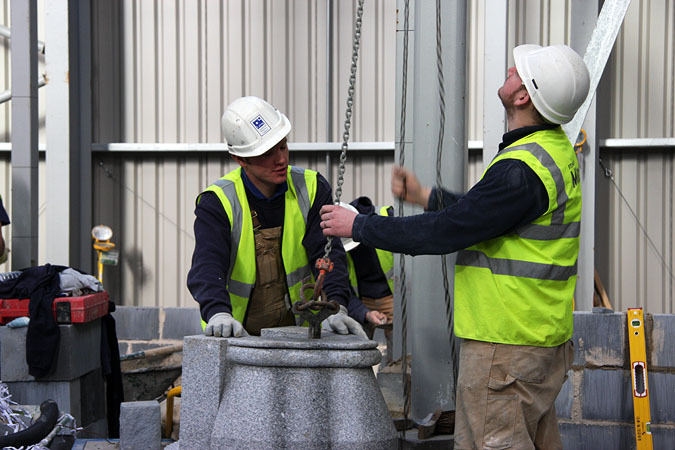 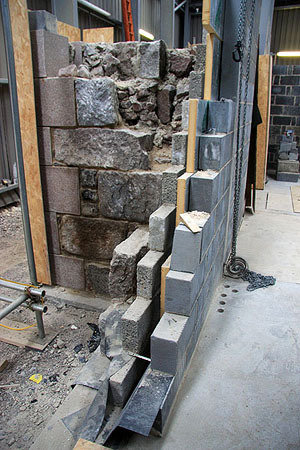 The 100mm cavity wall construction consists of a 140mm inner leaf of lightweight concrete block and a 100mm external leaf of dense concrete block, all bedded in hydraulic lime mortar. 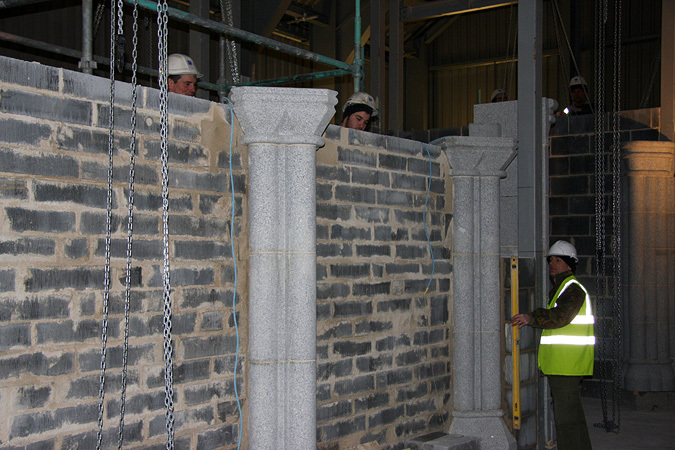 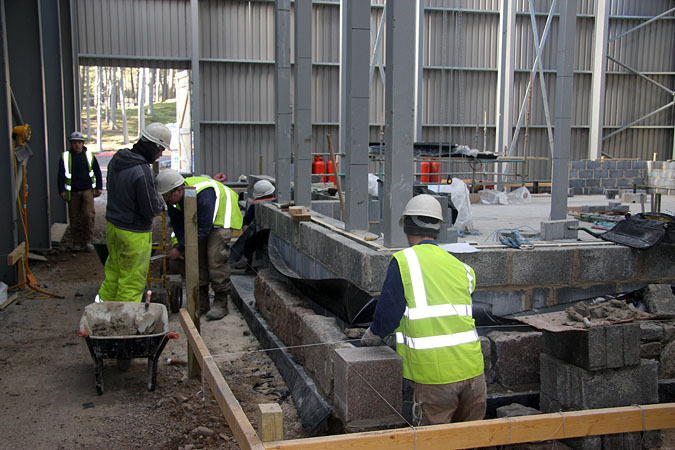 The external leaf is a 300mm thick granite masonry wall bedded in a hydraulic ‘hot’ lime mortar. 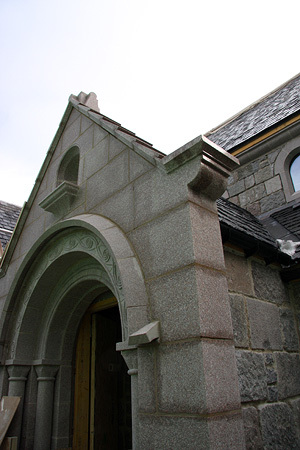 The masonry was largely reclaimed squared rubble granite from the Aberdeen area, with new granite dressings to architectural features such as quoins, columns and window margins. 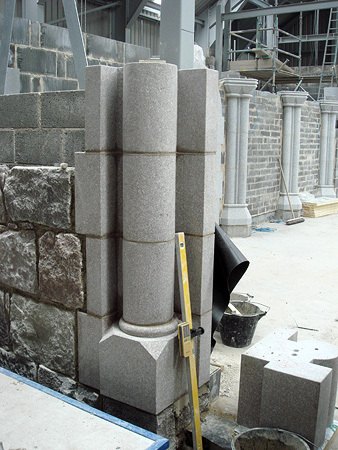 The structure thus synthesised modern building standards with traditional stonemasonry methods and materials. 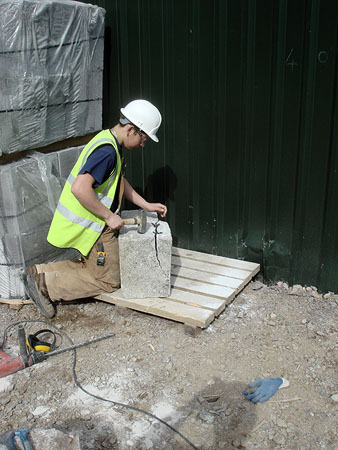 The project involved a number of traditional skills, thereby passing the skills and knowledge onto the next generation of craftspeople. 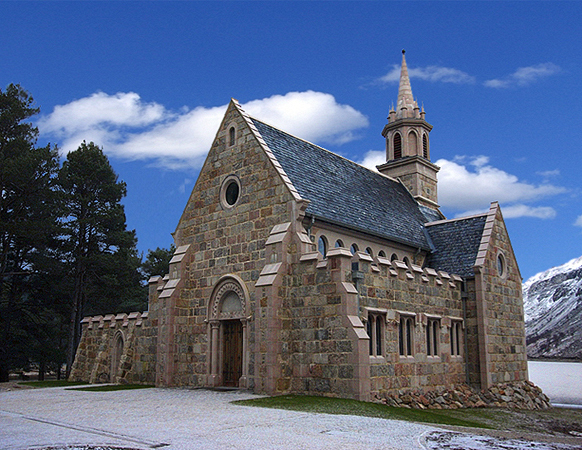 The Chapel was built in the remote Highlands of Scotland. 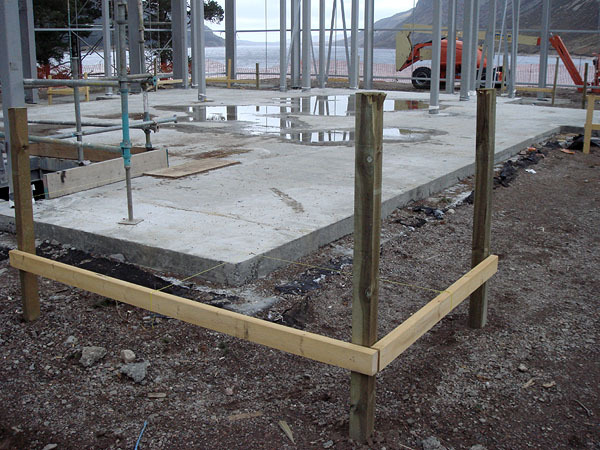 The exposed climatic conditions were compounded by the need to continue construction throughout the winter months. 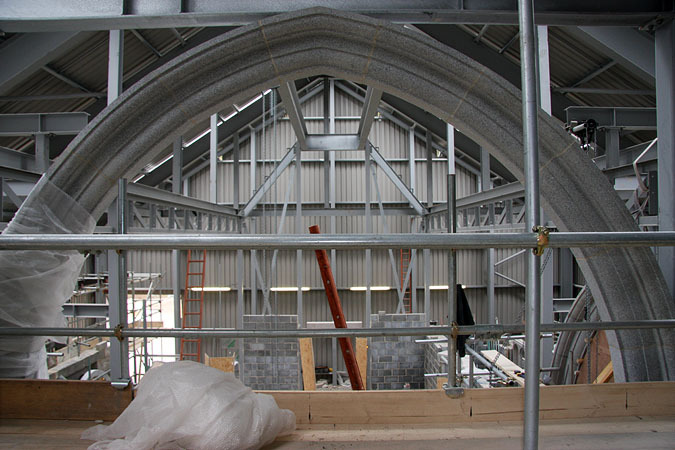 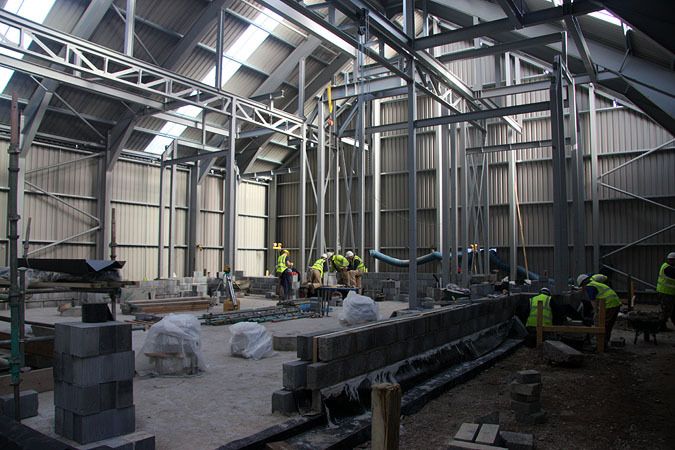 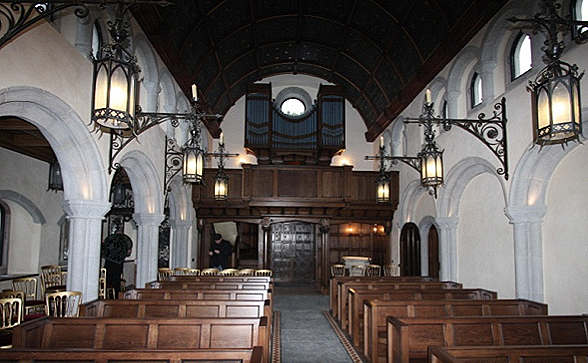 The project team proposed to build a separate heated and lit enclosure, erected over the site to encapsulate the Chapel throughout the construction process. 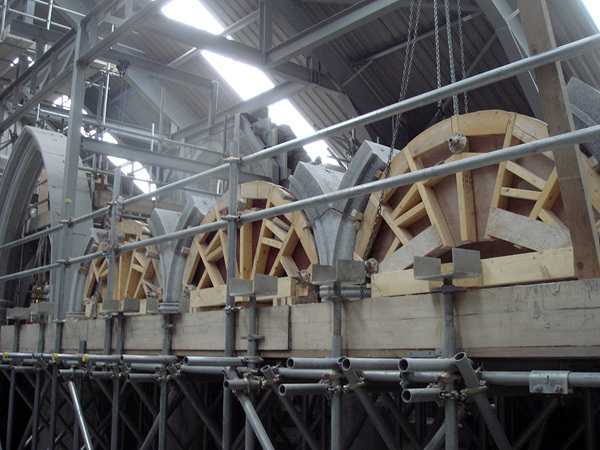 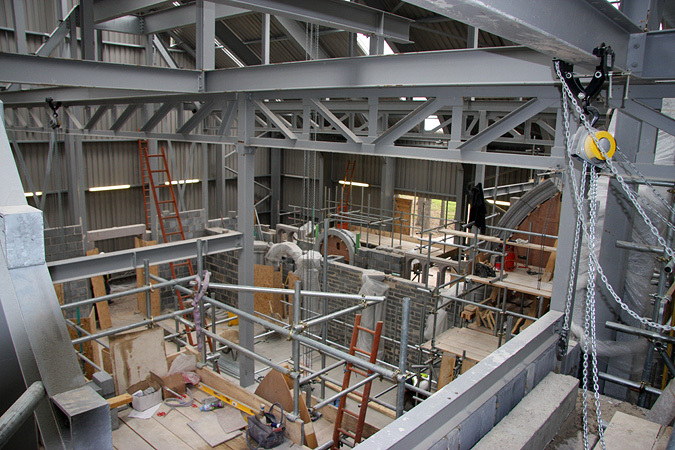 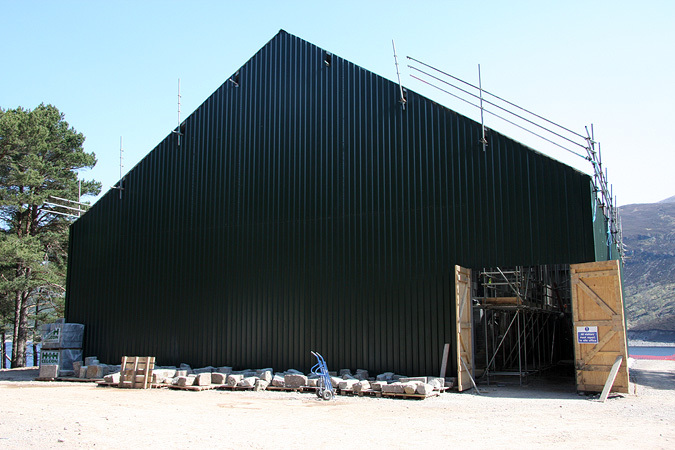 This resolved the immediate challenges associated with the site environment - the enclosure provided protection from the elements during construction and assisted in creating an environment conducive to the curing of lime mortars. 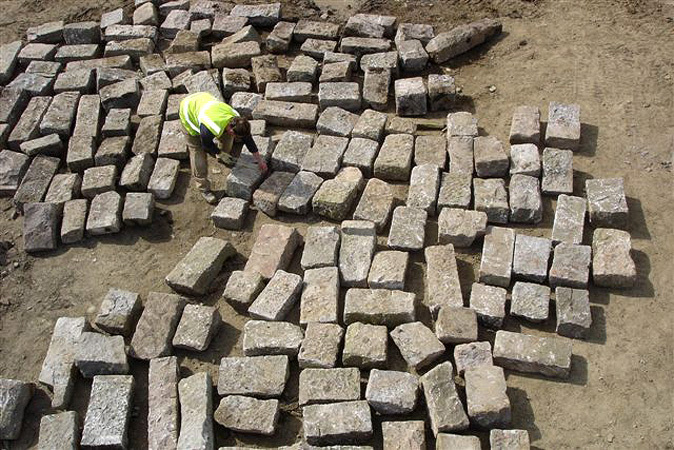 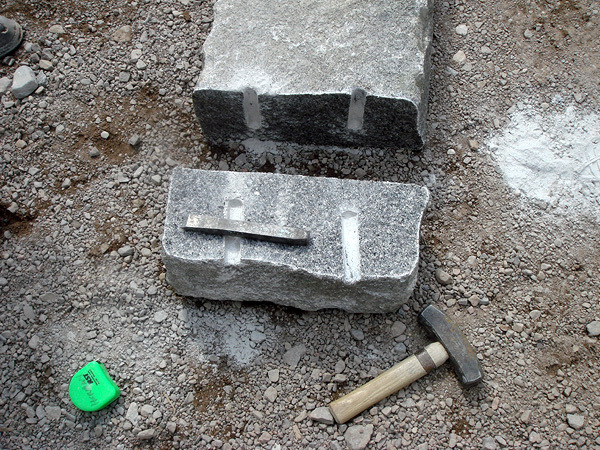 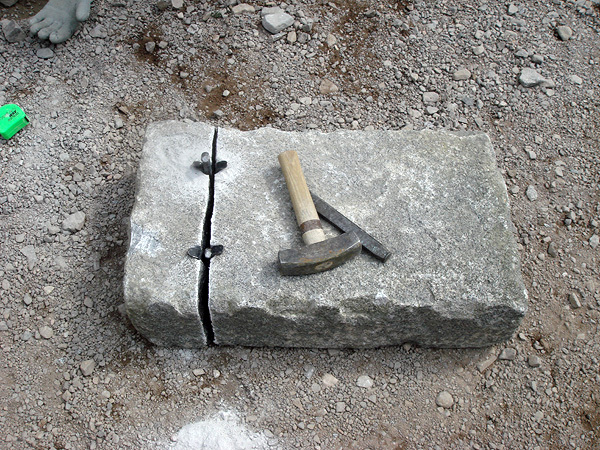 The project highlighted one of the key problems with bedding impervious granite masonry with modern hydraulic limes or putty limes - the stones tend to ‘swim’ on the bed of mortar because of the lack of suction in the granite. 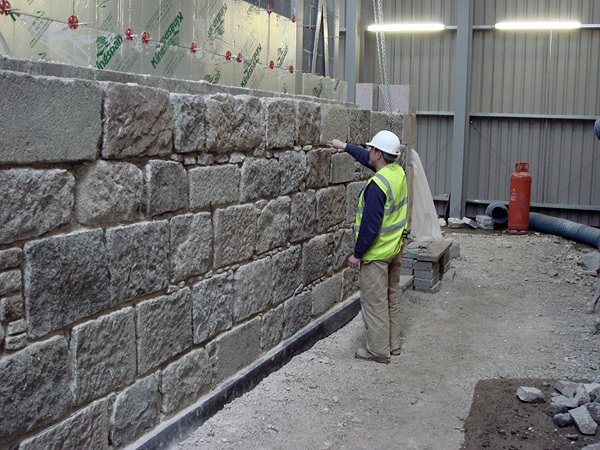 Construction is therefore slow and laborious, the process restricted by the need to wait for the mortar to stiffen over a few days. 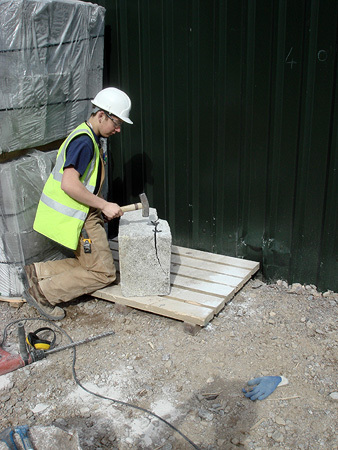 However, LTM’s keen understanding of traditional mortars and construction methods immediately identified the solution - traditional ‘hot lime’ mortars. 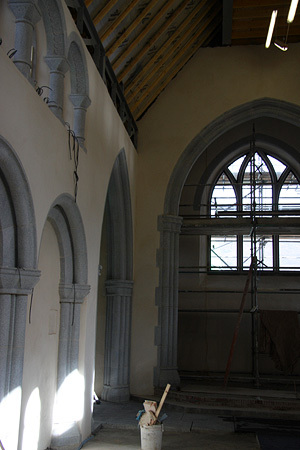 Quicklime is slaked along with the sand and used immediately as a mortar, whilst still ‘hot’ or warm. 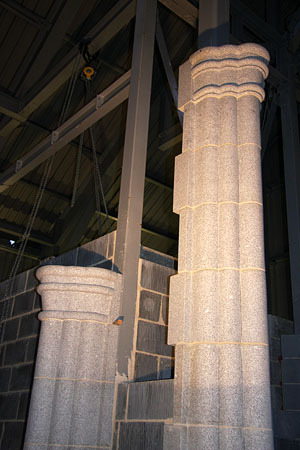 These mortars are inherently ‘sticky’ and stiffen up in comparison to modern ‘cold’ mortars, thereby allowing a much faster build rate.